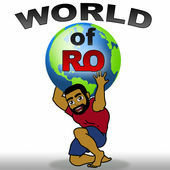 Last week I was checking in with the #podernfamily on the backchannel for creators they have set up, and Roel Santos Jr. from Pick & Ro was looking for guests for his new project World of Ro. I had some free time, so we set it up and did a really good talk about podcasting, working out, media … all that good stuff. Ro is cool you should check out more of his stuff, I really appreciate him giving me the opportunity to be the guest on a show for once and we had a great time talking shop. Check it out! Also gang, definitely come back for Naked Diner on Monday where our guest will be Zach Weinersmith from SMBC-Comics.